Lean Six Sigma is a structured methodology and flexible managerial concept combining Lean and Six Sigma. It is a concept that requires a collaborative effort from the entire company to improve business process performance and reduce waste and variation delighting customers with improved quality and a consistent flow. This approach reduces costs and drives performance to a new level by making breakthrough improvements. The methodology also provides a framework for the overall organisational change of a company. Lean Six Sigma reduces costs for the supplier and the customer eliminating rework across the whole value chain, by streamlining manufacturing as well as service processes – this is done by eliminating waste and defects whilst delivering value to customers. Six Sigma is simply a structured method of solving a problem with reducing variation, improving stability and re-engineering measurement systems. You are able to reduce the number of defective products manufactured or services provided which will result in increased revenue and greater customer satisfaction. The methodology is based on the concept that process variation can be reduced using statistical tools. Measure – Quantify the defect. Analyse – Identify the Root causes of the defect. In the 1980’s, consultants trained in both techniques, started to realise the synergy between Lean and Six Sigma and began to push for a combination of the two, and thus, Lean Six Sigma (LSS) was born. 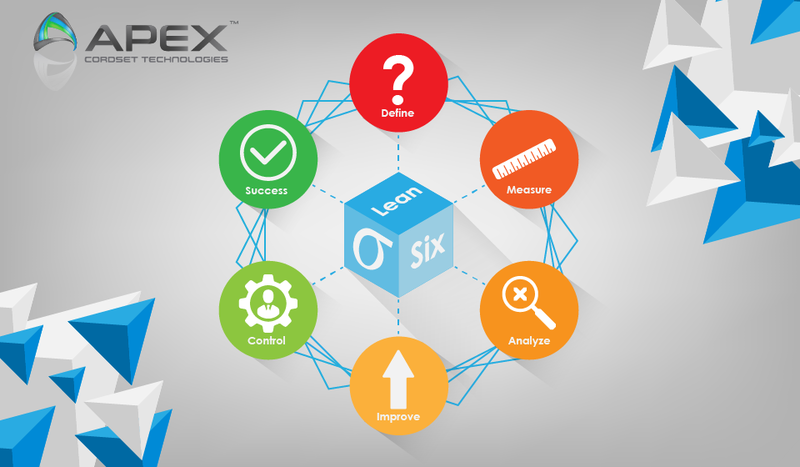 Lean Six Sigma seeks to improve the quality of process outputs, or finished product, by identifying and removing the causes of these errors and by standardising the manufacturing and/or business processes. Lean Six Sigma can be used by small, medium and large businesses very successfully. The methodology has a far-reaching effect within the company as it not only increases revenue and reduces costs, but also positively engages your work force in improving the way they work. This also gives employees a sense that they are all directly improving the business, leader to greater satisfaction among staff members. White Belt – Understand the structure and goals of Lean Six Sigma, use basic vocabulary terms, reports process issues to green and black belts- Applies Process Controls. Yellow Belt – Understands basic Lean Six Sigma Concepts, reports process issues to green and black belts, participates on project teams and receives just-in-time training. Makes use of qualitative assessments in root cause. Green Belt – Starts and manages Lean Six Sigma Projects, has Lean Six Sigma expertise but to a lesser degree than black belts, provides just-in-time training to others. Makes use of qualitative assessments and quantitative assessment in root cause. Black Belt – Can report to a Master Black Belt, coaches, has advanced Six Sigma expertise, functions as a coach, mentor, teacher and project leader for project teams. Applies advanced data analysis in determining root cause. Master Black Belts – Works with leaders to identify gaps and select projects, coaches, mentors, teaches, monitors and leads projects. Responsible for Lean Six Sigma Implementation and culture change. Lean Six Sigma not only reduces your costs and increases your revenue, but it positively affects your work force by challenging the whole team to a new level of thinking that drives breakthrough improvement in the company on a day-to-day basis.